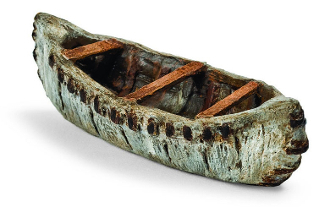 Woodland Canoe For Miniature Fairy Gardens. Approx. 4" Wide.